Opinion Forum » Hi Ho, Hi Ho. It’s Off to Tehran They Go. Hi Ho, Hi Ho. It’s Off to Tehran They Go. Non-Aligned Movement member states will assemble in Tehran next week. The conference will provide great opportunities to demonstrate and expand their indefatigable pursuits of human rights, justice and peace. I don’t need a teleprompter! ordered the country’s Revolutionary Guards to intensify its campaign of terror attacks against the West and its allies in retaliation for supporting the overthrow of President Bashar al-Assad in Syria. Such happy people! Maybe he will take them along. It has been reported that the dapper young leader of North Korea, Kim Jong-un, will be among the heads of state in attendance. 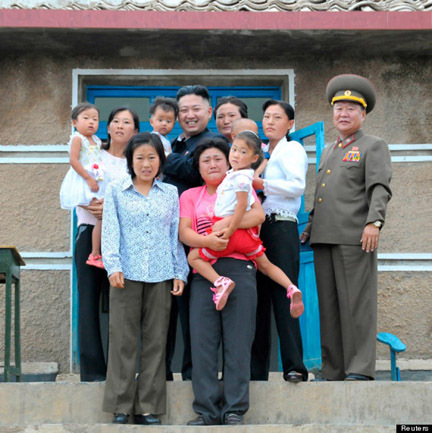 As a visiting head of state, he should take a gift: a few kilograms of highly enriched Uranium should serve quite well and North Korea probably has some to spare. Perhaps his grateful Iranian friends might scrape together a few kilograms of rice to put in his begging bowl as he leaves. 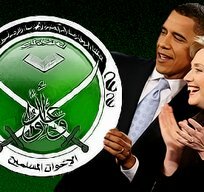 Also in attendance will be Egyptian President Mohamed Morsi. Morsi’s trip to Tehran will be the first such visit since Iran and Egypt severed ties more than 30 years ago after Cairo signed the 1978 Camp David Accord with the Israeli regime and offered asylum to the deposed Iranian dictator, Mohammad Reza Pahlavi. Lest the United States feel slighted, President Morsi will visit Washington and New York for three days beginning on September 23rd. The Brotherhood has been trying to counter concerns in Washington, sending delegations to the U.S. to argue that it is a moderate Islamist group with no anti-American agenda. U.S. officials recently pledged additional foreign aid to Egypt, a gesture toward maintaining close ties. The U.S. has been giving Egypt about $1 billion a year in military aid for more than three decades. I haven’t yet heard whether Venezuela’s el Presidente Chávez or Cuba’s el Presidente Raul Castro will attend; both are member states. Facing a possibly tight Venezuelan election in October, Chávez may not find the time to go. However, Venezuela will host the 17th NAM Summit in 2015.
the Non-Aligned Movement summit, which is scheduled to be held in Tehran from August 26 to 31, is indicative of the fact that Iran has good relationship with many countries across the world. Speaking to the Persian service of the Fars News Agency on Tuesday, Babar described Iran-Pakistan relations as close and emphasized the necessity to cement ties in all spheres. Reports on whether United Nations Secretary General Ban Ki-moon would attend had been conflicting, but it was reported on the morning of August 22nd that he will attend. U.N. Secretary-General Ban Ki-moon will attend the summit of the Nonaligned Movement of mainly developing countries in Tehran next week despite strong opposition from Israel and Jewish groups outraged at Iran’s calls for the destruction of Israel. U.N. spokesman Martin Nesirky said Wednesday that Ban will participate in the Aug. 29-31 summit because he is determined to carry out his responsibilities to the 120-member organization and to raise directly with Iran’s leaders the threat to Israel’s existence, which violates the U.N. Charter. Ban also plans to discuss Iran’s nuclear program and the Syrian conflict with Iran’s leaders, Nesirky said. Secretary-General Ban Ki moon evidently disagrees with assessments by the United States and Israel that he should not go. The United States is against high-level diplomatic visits to Iran by Egyptian and UN officials, State Department spokeswoman Victoria Nuland said Monday. Nuland was responding to a press inquiry that specifically mentioned a yet unconfirmed visit by UN Secretary-General Ban Ki-moon and a confirmed visit by Egyptian President Mohamed Morsy to attend the Non-Aligned Movement meetings towards the end of August. The NAM summit has been at the center of diplomatic controversy in recent weeks, with Prime Minister Binyamin Netanyahu telling Ban to stay away from the event. “Mr. Secretary-General, your place is not in Tehran,” he said in a telephone conversation with the UN chief. The Iranian government is characterizing its hosting of the summit and the attendance of Ban and numerous heads of state as evidence that U.S.-led efforts to isolate Iran have failed miserably. It has signaled its intention to use the summit of developing nations to circumvent Western sanctions and rally support for its nuclear program, which it insists is peaceful. 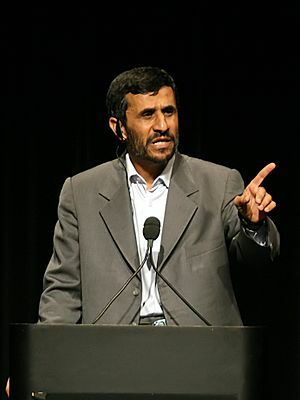 Ahmadinejad aide Ebrahim Azizi said Wednesday the summit proved that the “satanic plots” hatched by Israel and “arrogant powers” – that is, the U.S. and Western allies – have been “futile,” the Mehr news agency reported. if United Nations Secretary General Ban Ki-moon goes to the meeting too it will put a fork in the notion that the Iranians have much to worry about. That worries left-wing columnist Chemi Shalev, who writes in Haaretz that the symbolism of the UN chief arriving in the Iranian capital will be used by both Israeli and American critics of Obama’s feckless policy. He’s right. Shalev ruefully notes that even if Ban listens to his critics and avoids the Tehran conference, the Non-Aligned Movement event will mark a watershed in the failing effort to bring the ayatollahs to heel. It will not only embarrass President Obama but also make it all too clear that those who believe the bulk of the world is against Israel are right. Since he is opposed to a unilateral Israeli strike on Iran’s nuclear facilities, that appalls him. Shalev would much prefer that Ban and the rest of the world’s leaders start acting as if a regime that spouts anti-Semitism, Holocaust denial and pledges to eliminate a member state of the UN — Israel — should be isolated, not honored. So would those who disagree with his views about both Iran and the peace process. But the fact remains that it is democratic Israel that is isolated. Not Iran. Those non human Israelis must go! Demonstrators in Tehran set U.S. and Israeli flags on fire and chanted “Death to the U.S.” and “Death to Israel” during their pro-Palestinian rally. 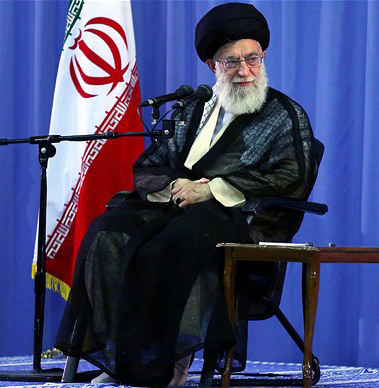 In Washington, National Security Council Spokesman Tommy Vietor strongly condemned the Iranian leader[‘]s comments. The NAM conference will doubtless be a great love feast at which President Obama’s dreams of a world united in peace, love and prosperity will be advanced if not achieved. Will he send his best wishes for success? Congratulations on their marvelous achievements? Will Secretary Clinton’s Deputy Chief of Staff, Huma Abedin, write the congratulatory note in Farsi? Maybe President Obama will be able to do it himself. Note: not that it necessarily signifies much, but the following You Tube video had had 7,508,399 views as of the evening of August 22nd. 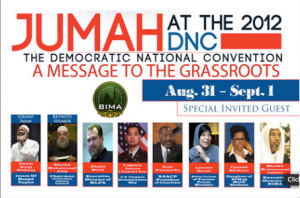 Islamists will in any event have a pleasing role August 31 – September 1 (or September 2nd, reports vary) in Charlotte, North Carolina immediately preceding the Democrat National Convention to be held there September 3 – 6. It will be a “positive” development, Representing the more positive side [than that of a “conservative Christian right wing group, Operation Save America”] of religious involvement a Muslim group called “Bureau of Indigenous Muslim Affairs will be taking part with educational seminars about the American Muslim community and the Muslim religion, and is planning a public Muslim prayer under a protest title called “Jumah at the DNC.” Spokesperson, Jibril Hough, highlighted similarities between Muslim social concerns and that of other protest groups, citing the Patriot Act, which has targeted American Muslims, and the recent, Obama inspired, National Defense Authorization Act, NDAA, with its sanctioning of techniques, such as those used by the NYPD to spy on, innocent, American Muslims. He hopes for 20,000 Muslim devotees to be there for the mass Muslim prayer. Perhaps with the brilliant success of the NAM conference they will have much to celebrate. Will former President Carter, scheduled to speak via video at the convention, address them? It’s an interesting article; please read the entire piece. Yea, these joyous events will surely hasten the long awaited coming of the Twelfth Imam Mahdi. Let us yield to our ecstasy! Question: Are both of the You Tube videos presented here hateful right wing nonsense or do they make at least some valid points? What valid points? I’d be interested in your opinions. Kind of a Monsters Ball?